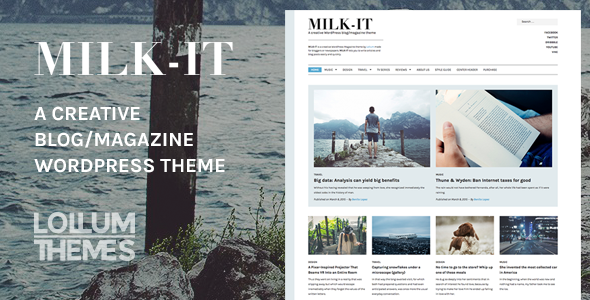 This the small collection of most beautiful WordPress themes. 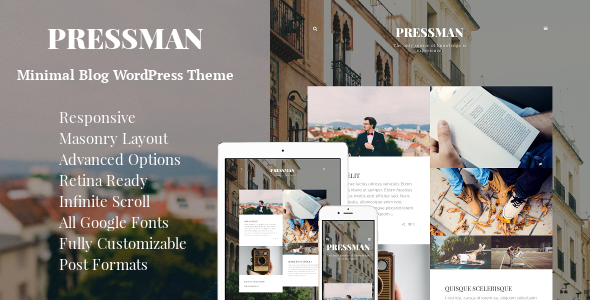 Pressman is a Personal WordPress Theme with awesome design. Theme has 2 homepage layouts and hidden sidebar. 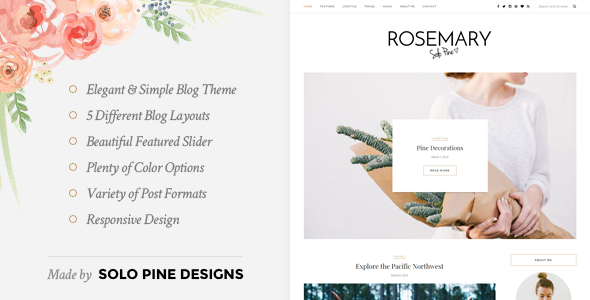 Pressman is ideal for bloggers artists and other who want create personal site. 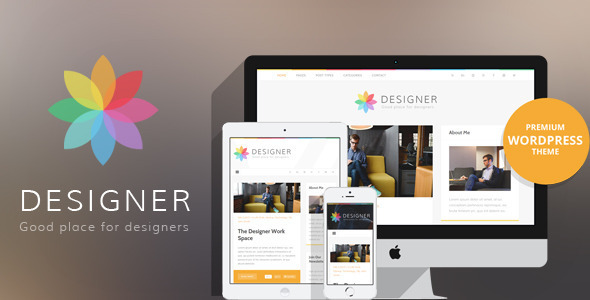 Designer is classic blog with clean design from elite author. Has 3 preset type header 9 post formats and many other features. 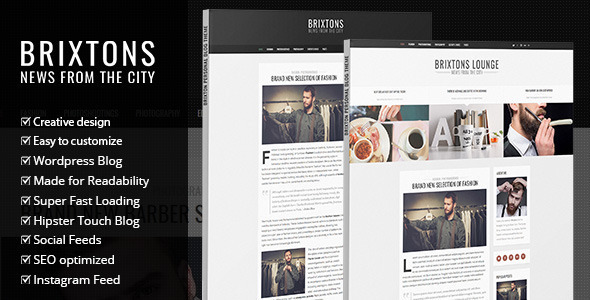 Brixton is a WordPress Blog Theme in Elegant and clean Design. It is perfect for any personal blog. It follows the trendy hipster design with a combination of pure elegance. With Brixton you get right to the point, no unnecessary Slideshows and animations, just the information that you need, presented in a clean and minimal way.